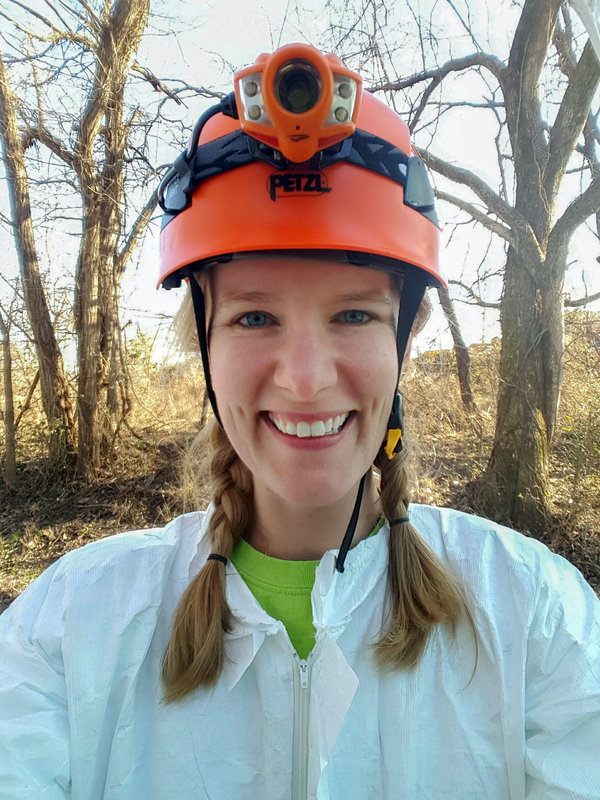 Wildlife biologist Tara Hohoff is the coordinator of the Illinois Bat Conservation Program, a statewide research, monitoring, and outreach program focused on conservation and management of Illinois’ thirteen bat species. A. I have been interested in science and mathematics since I was very young. I remember doing math problems, such as calculating the number of inches to the moon, for fun with my dad when I was in grade school. My dad was an engineer and was always happy to encourage my interest in science and math. I also had numerous teachers throughout my education that were passionate about biology and conservation, which continued to fuel my desire to work in this field. Q. What is your field of study, and what made you decide to pursue that field? A. I am a wildlife biologist, which is a natural fit for me because I am most happy when I can be outside, observing animals, which absolutely fascinates me. A. One of my first mentors was my co-worker, Pam Caldwell, when I did Northern Spotted Owl surveys with the BLM in Oregon. She was fun and laid back, except when it came to work, then she was very focused and absolutely nothing stopped her in the field. No amount of snow, dead mice, or late-night hours could prevent her from completing her surveys. It was really inspiring for me to be trained by her and I try to have the same attitude when I approach fieldwork. Q. What is the best part of your job, and what work are you most proud of? A. Being out in the field, especially when I get to observe bats, is the absolute best. I also really love to learn and the methods and technology utilized to study bats is still developing, so there are many opportunities to learn new skills. I am most proud of when I learn new statistical analyses. Getting a difficult R code to work after a long struggle is a great feeling. A. No one knows what you are capable of accomplishing except for you; so don’t listen to anyone who tries to discourage you.